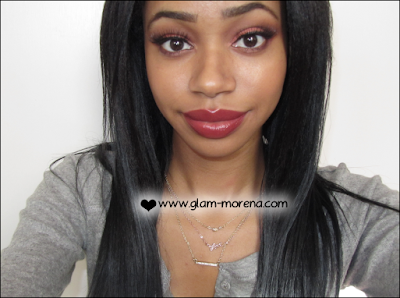 Glam Morena: Tutorial: Cinnamon Spice. I created a new makeup tutorial, which is full of cranberry and burgundy shades. To top it off I added deep red lips. 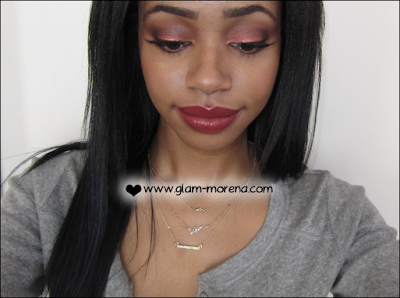 I think this look would be nice for the holiday season or just for the Fall season in general. Unfortunately I couldn't take decent photos of the look though. I really really like this look, perfect for fall! And I can't believe that's a Wet n' Wild lipstick, I need to check some of their lip products out now. This is really pretty! I love the lip color! This look is beautiful! You have a really nice skin complexion and you pull off that red lipstick color so well! 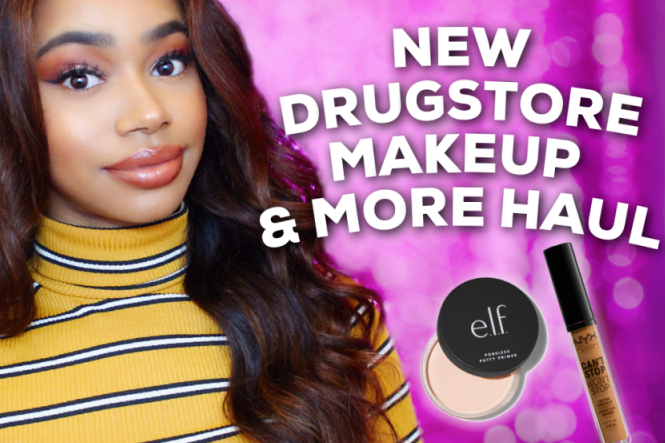 This is a really cute fall look! I love it! I almost got a little emotional when I came across this page. You resemble Aaliyah (whom I absolutely LOVE) in the first pic. Very beautiful!!! I really love this lipstick color on you adn so I went and bought it.